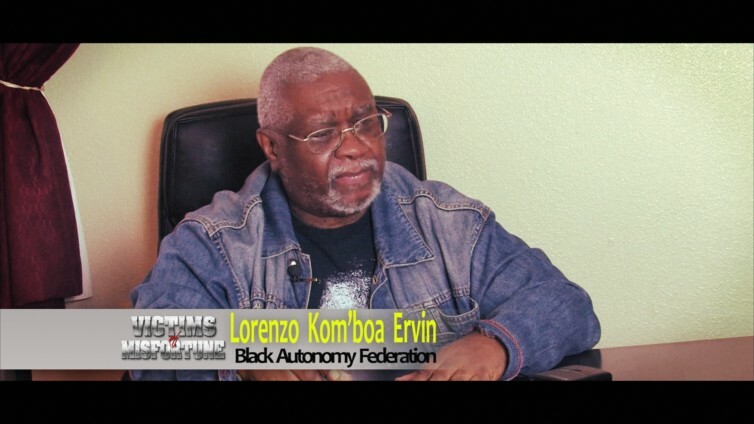 Memphis, Tennessee – Lorenzo Kom’boa Ervin, a former political prisoner and political refugee, is the founding member and community organizer at the Black Autonomy Federation located in Memphis, Tn. He is the author of the underground classic, Anarchism and the Black Revolution as well as many other essays and articles about fighting capitalism and white supremacy. He is also working to bring attention to and combat rampant police brutality in the area including the murder of 15 year old Justin Thompson. This is behind the scenes of the documentary film: “Victims of Misfortune: Changing the Pecking Order”. Victims of Misfortune is a social change documentary. In the light of the police brutality going on across the nation where African boys/men are being gunned down in the streets of America. Most recently is the situation in Ferguson MO with #MikeBrown and in Los Angeles, CA #EzellFord. My son Damon Jackson was killed by Los Angeles police department Newton Station on August 3 and I did not find out until 8 days later on August 11 the police contact my sister in Houston, TX before they contact me in Hawthorne, CA, as of this date no police has contact me at all .I would like to talk to someone in your organization about this problem.